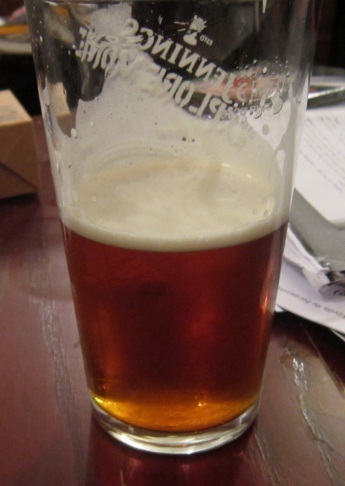 I've just completed the online questionnaire issued by CAMRA as part of the Revitalisation Project set up to look at the future of the organisation and will go along to the consultation meeting being hosted by my branch this summer. It's good that CAMRA is reviewing its aims and I'm quite relaxed about whatever outcome is finally reached. The battle to save traditional, draught cask beer in England was won some time ago and it's inevitable that the focus of the campaign will shift away from that to other things. The consultation document, Shaping the Future, lists what it sees as the other achievements of CAMRA and the challenges facing pubs. I'm not sure that I agree with most of the things on either list. On the achievements, while the tax relief for small brewers and scrapping of the Beer Duty Escalator are both obviously good things, all day opening has benefited the diner more than the drinker, making many licensed establishments feel more like restaurants than pubs, and the 1989 Beer Orders led directly to the pubcos which CAMRA now rails against. As for the challenges facing pubs, the link between the smoking ban, drink driving limit and cheap supermarket booze and the decline in the on-trade is not at all clear. And neither "craft keg" nor inactive members pose an existential threat to either cask beer or CAMRA: the first is a niche product which may well turn out to be a passing fad and the second will probably lead to a looser structure, more emphasis on the social side of the campaign and paid organisers substituting more for volunteers.